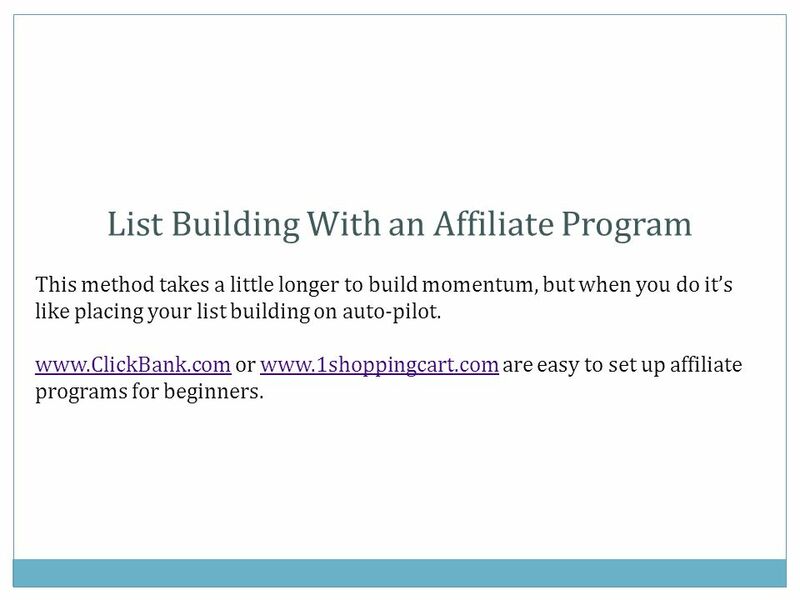 List Building Putting Your Opt-in List Building Into Overdrive. 2 The Money is in the List! If you had a dollar for every time you've heard that said, well, you'd already have your fortune. 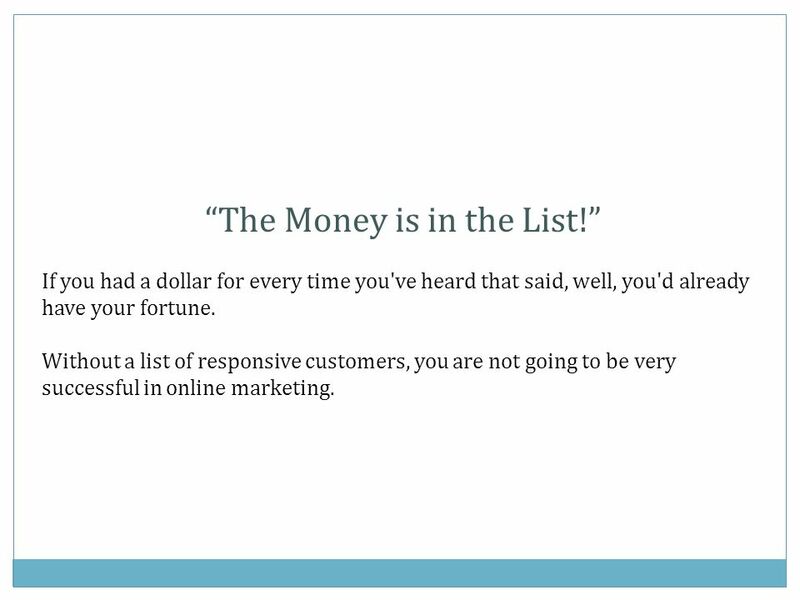 Without a list of responsive customers, you are not going to be very successful in online marketing. 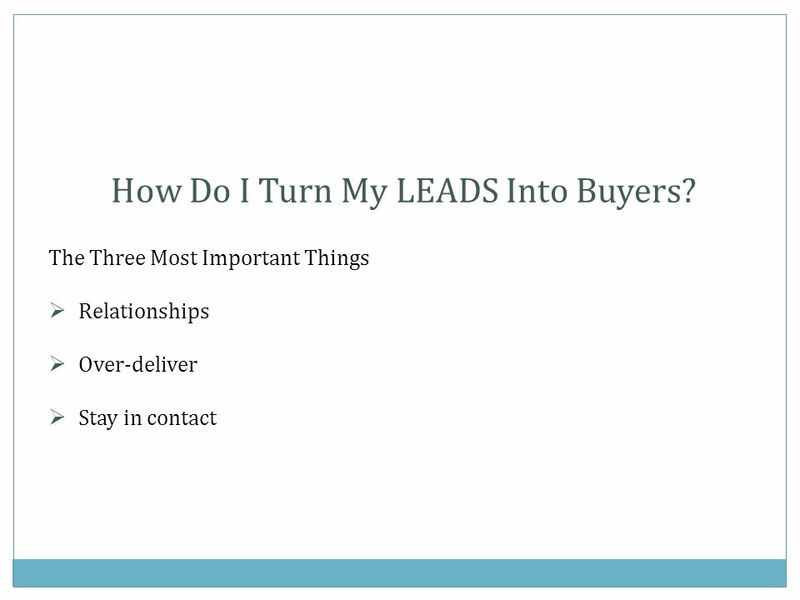 4 Elements of List Building 1. Identify your market. 2. Identify their problem. 3. Get Domain & Hosting. 4. Set up simple website. 5. Create free irresistible offer. 6. Set up follow-up message series. (Autoresponder) 7. Get targeted traffic. 8. Let them know how you can solve their problem. 9. Ask for the appropriate action. 10. Build relationships. 5 Is Size Important? 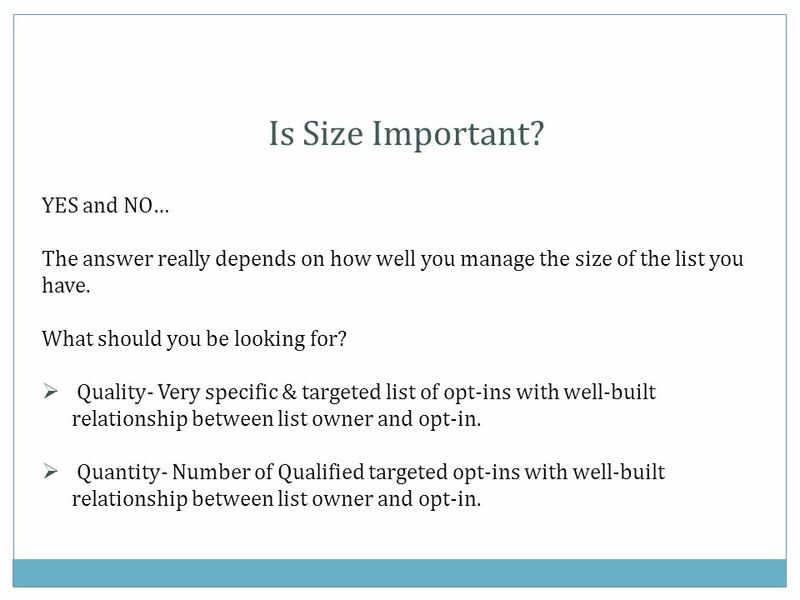 YES and NO… The answer really depends on how well you manage the size of the list you have. What should you be looking for? 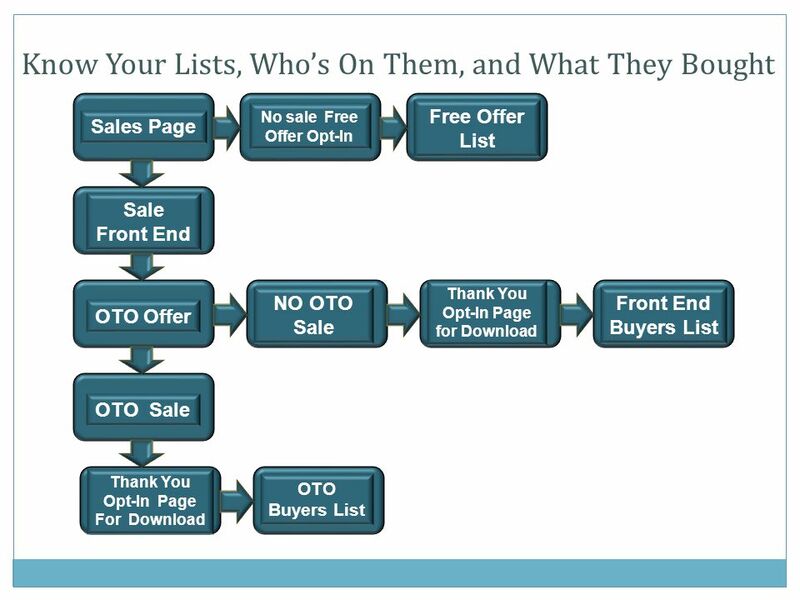 Quality- Very specific & targeted list of opt-ins with well-built relationship between list owner and opt-in. Quantity- Number of Qualified targeted opt-ins with well-built relationship between list owner and opt-in. 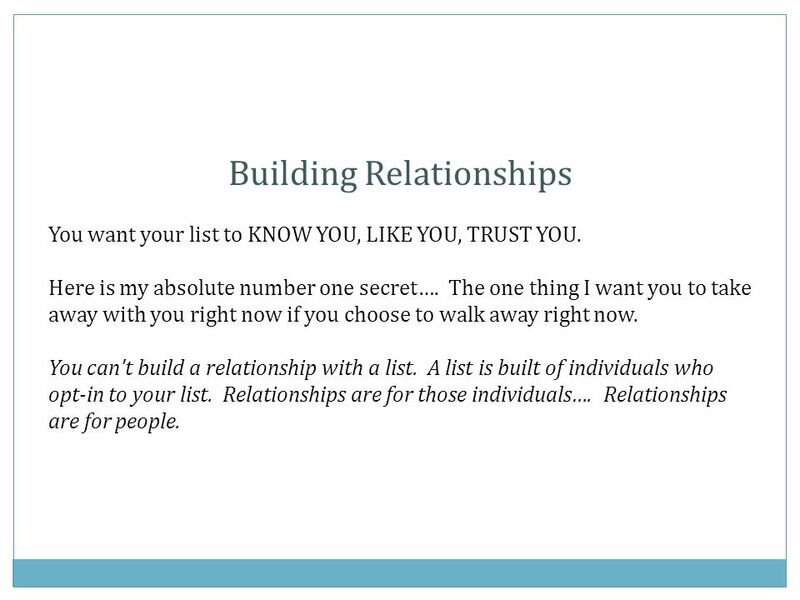 7 Building Relationships You want your list to KNOW YOU, LIKE YOU, TRUST YOU. Here is my absolute number one secret…. The one thing I want you to take away with you right now if you choose to walk away right now. You can't build a relationship with a list. A list is built of individuals who opt-in to your list. Relationships are for those individuals…. Relationships are for people. 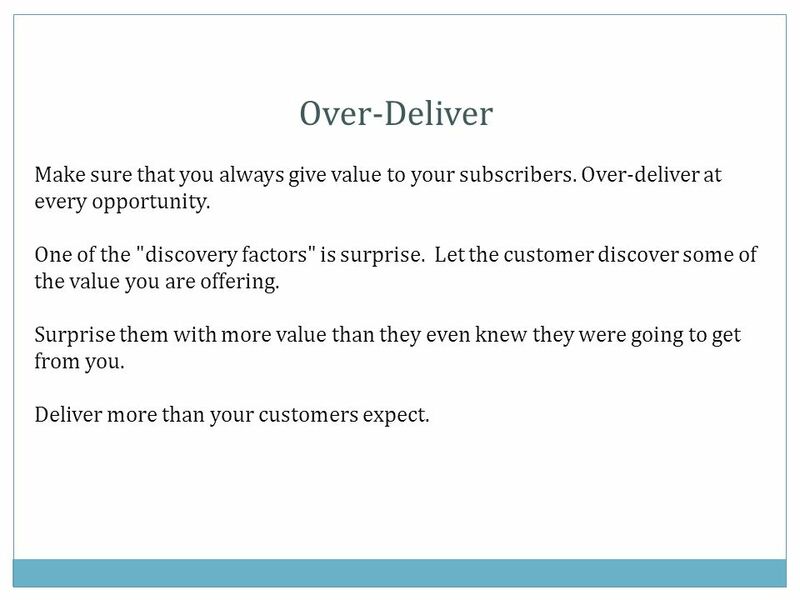 8 Over-Deliver Make sure that you always give value to your subscribers. Over-deliver at every opportunity. One of the "discovery factors" is surprise. Let the customer discover some of the value you are offering. Surprise them with more value than they even knew they were going to get from you. Deliver more than your customers expect. 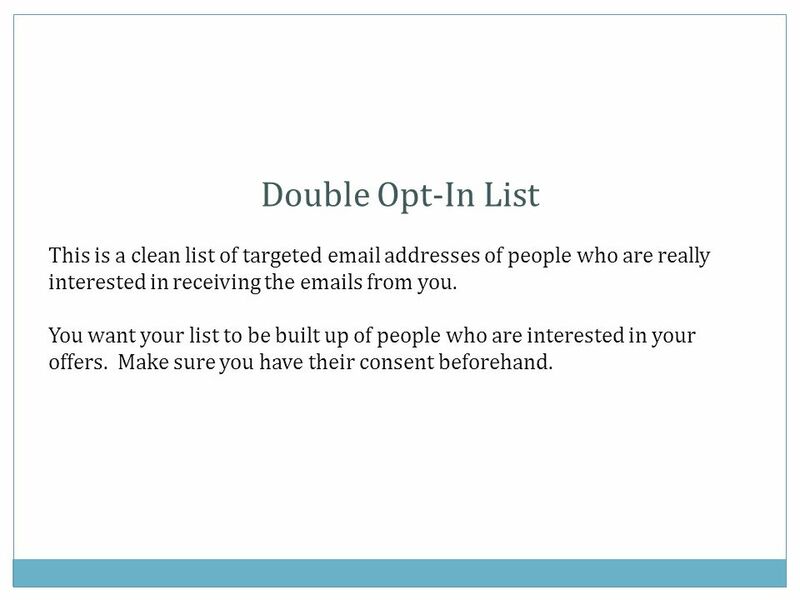 10 Double Opt-In List This is a clean list of targeted email addresses of people who are really interested in receiving the emails from you. 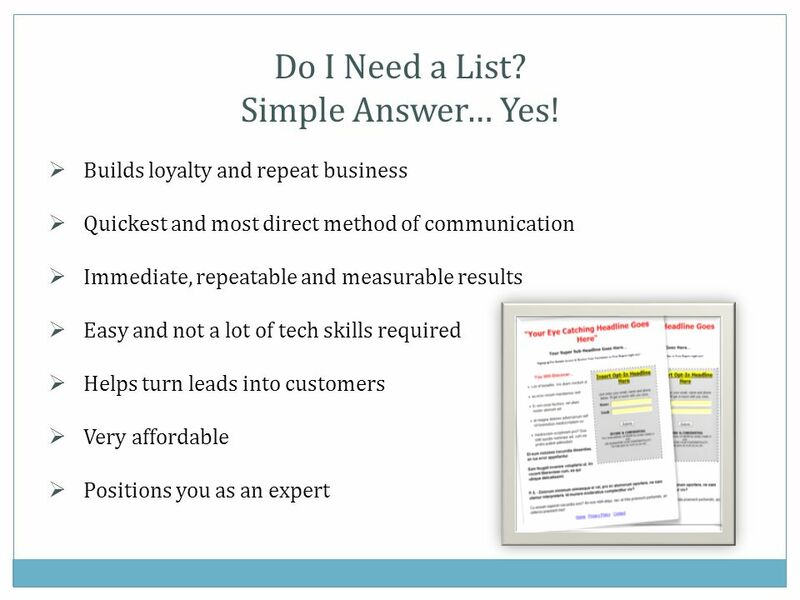 You want your list to be built up of people who are interested in your offers. Make sure you have their consent beforehand. 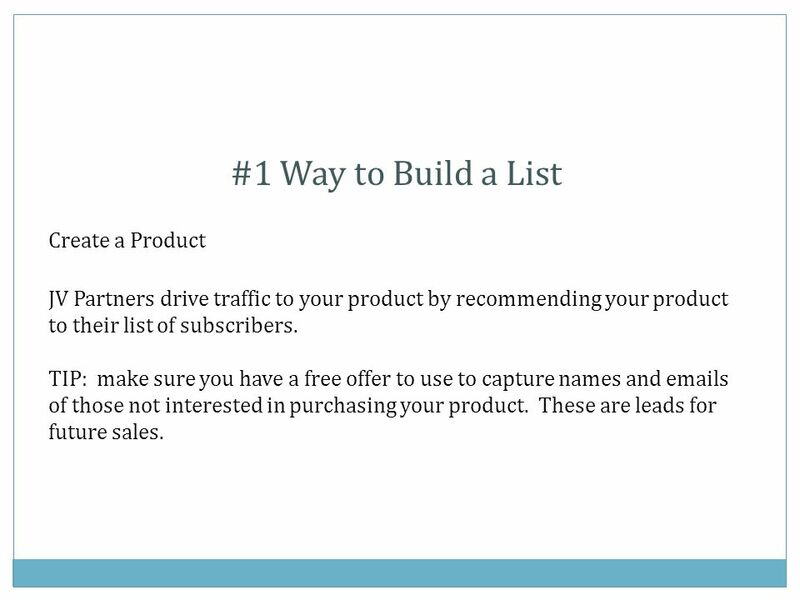 12 #1 Way to Build a List Create a Product JV Partners drive traffic to your product by recommending your product to their list of subscribers. TIP: make sure you have a free offer to use to capture names and emails of those not interested in purchasing your product. These are leads for future sales. 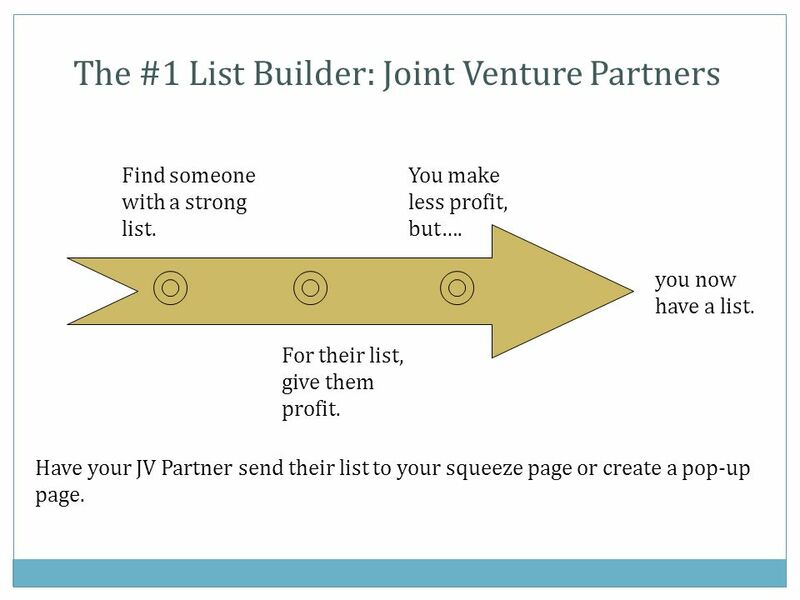 13 The #1 List Builder: Joint Venture Partners Find someone with a strong list. For their list, give them profit. You make less profit, but…. you now have a list. Have your JV Partner send their list to your squeeze page or create a pop-up page. 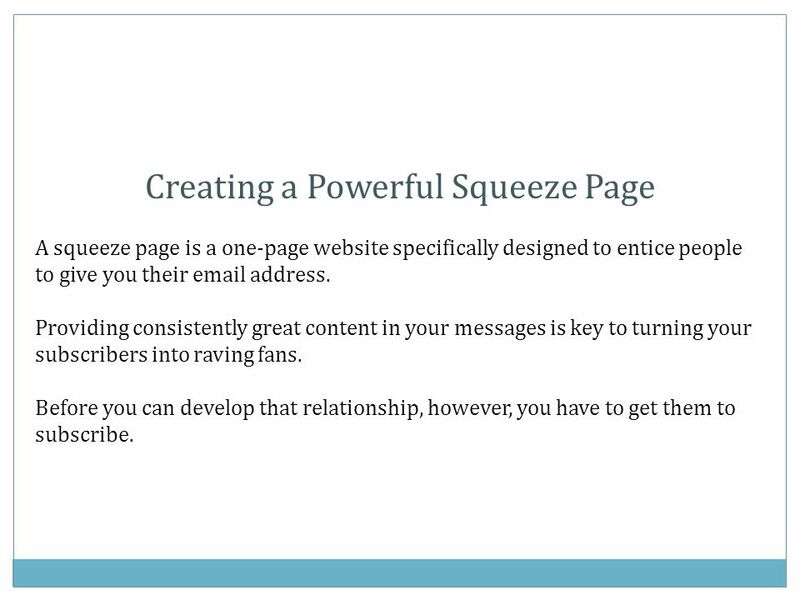 19 Creating a Powerful Squeeze Page A squeeze page is a one-page website specifically designed to entice people to give you their email address. Providing consistently great content in your messages is key to turning your subscribers into raving fans. Before you can develop that relationship, however, you have to get them to subscribe. 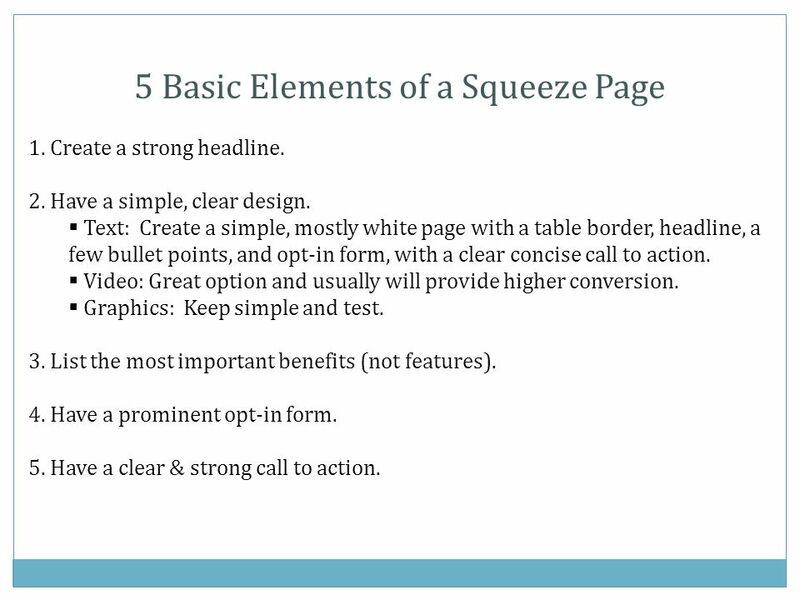 20 5 Basic Elements of a Squeeze Page 1. Create a strong headline. 2. Have a simple, clear design. 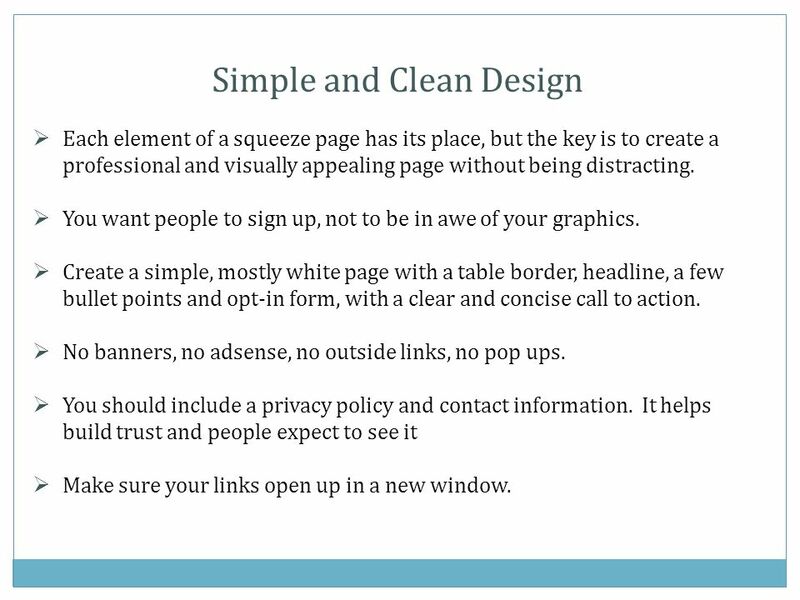 Text: Create a simple, mostly white page with a table border, headline, a few bullet points, and opt-in form, with a clear concise call to action. 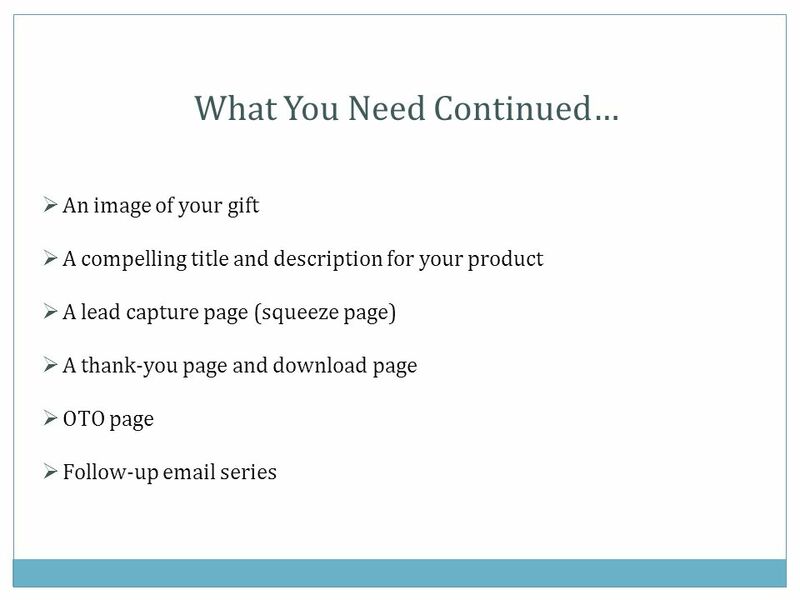 Video: Great option and usually will provide higher conversion. Graphics: Keep simple and test. 3. List the most important benefits (not features). 4. 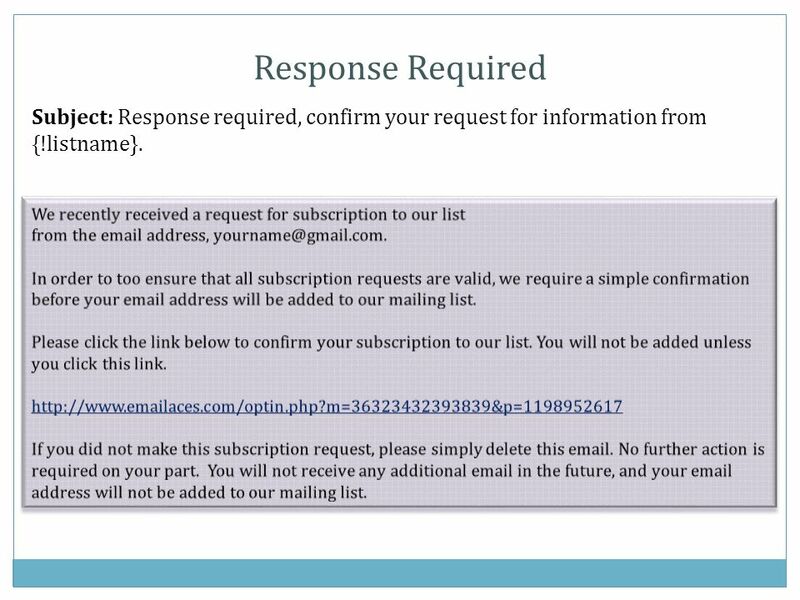 Have a prominent opt-in form. 5. Have a clear & strong call to action. 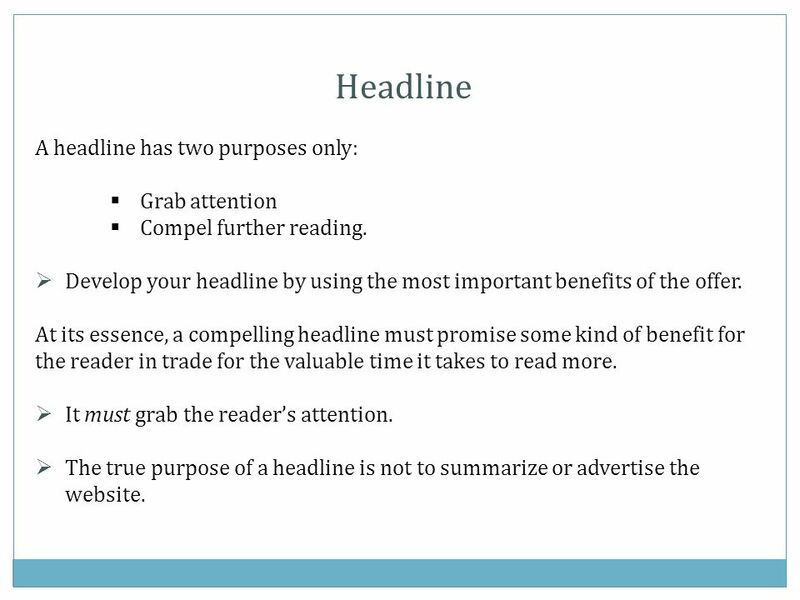 22 Headline A headline has two purposes only: Grab attention Compel further reading. Develop your headline by using the most important benefits of the offer. At its essence, a compelling headline must promise some kind of benefit for the reader in trade for the valuable time it takes to read more. It must grab the readers attention. The true purpose of a headline is not to summarize or advertise the website. 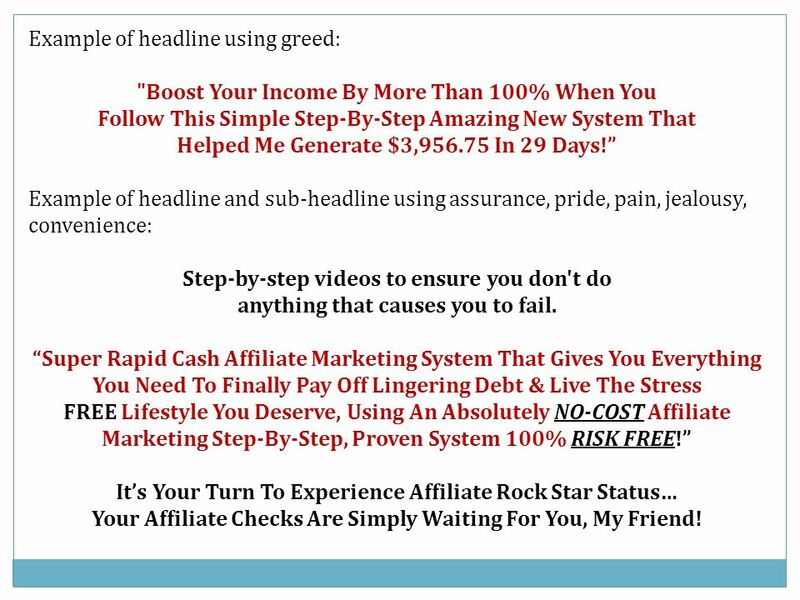 24 Example of headline using greed: "Boost Your Income By More Than 100% When You Follow This Simple Step-By-Step Amazing New System That Helped Me Generate $3,956.75 In 29 Days! 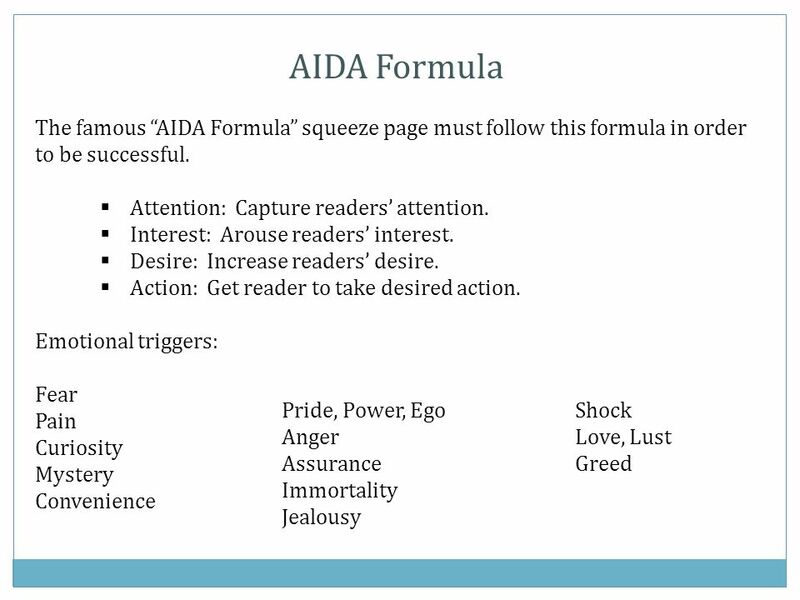 Example of headline and sub-headline using assurance, pride, pain, jealousy, convenience: Step-by-step videos to ensure you don't do anything that causes you to fail. Super Rapid Cash Affiliate Marketing System That Gives You Everything You Need To Finally Pay Off Lingering Debt & Live The Stress FREE Lifestyle You Deserve, Using An Absolutely NO-COST Affiliate Marketing Step-By-Step, Proven System 100% RISK FREE! 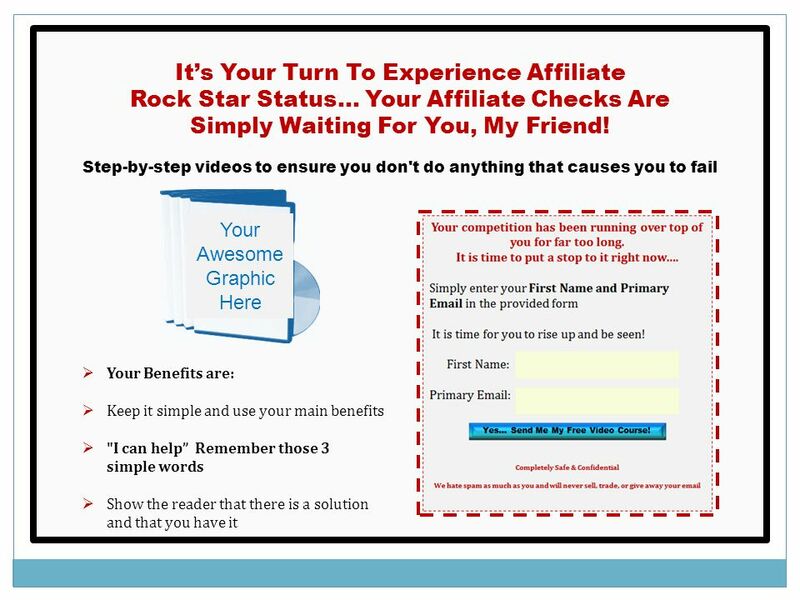 Its Your Turn To Experience Affiliate Rock Star Status… Your Affiliate Checks Are Simply Waiting For You, My Friend! 25 The Amazing Hook The hook must be amazing. Formulate a hook by researching exactly what your customer would want if you delivered the perfect product. 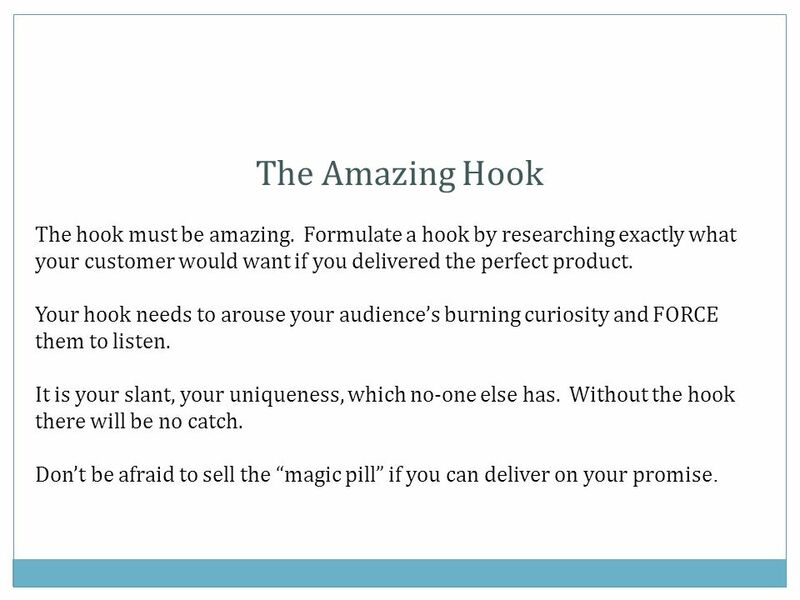 Your hook needs to arouse your audiences burning curiosity and FORCE them to listen. It is your slant, your uniqueness, which no-one else has. Without the hook there will be no catch. Dont be afraid to sell the magic pill if you can deliver on your promise. 26 Headline With a Hook Its time for you to get results! Earn While You Learn…. Create Instant Cash, Instant Fame, & Instant Lists Using A Powerful & Secret System Based On Decades Of Proven Educational Methods! A Real Business We Set Up With You That When Used Correctly Has Potential To Earn You Between $3,000 - $5,000 Per Month Online! 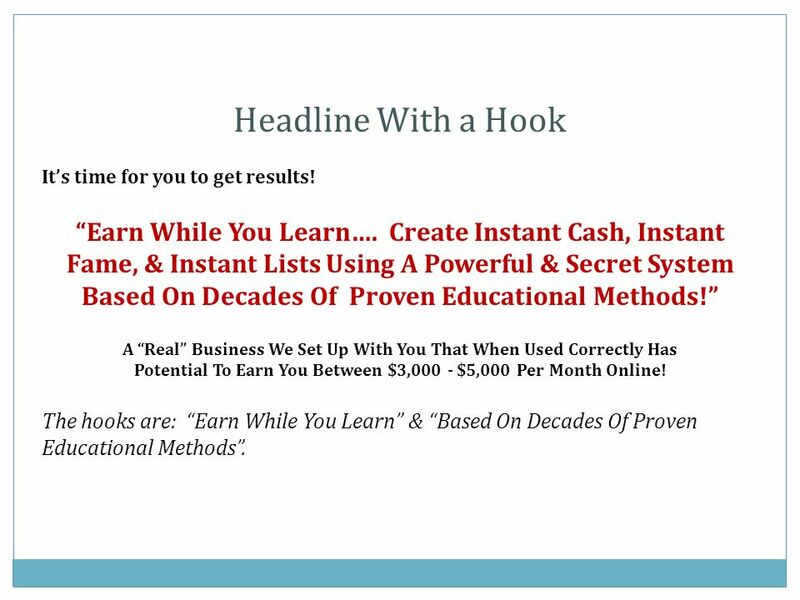 The hooks are: Earn While You Learn & Based On Decades Of Proven Educational Methods. 27 Use Verbs That Direct Your Visitor You will do well if you paint a vivid picture in the mind of your visitor by the use of action words. The more vivid the picture is, the more compelling the headline will be. For example, a headline like: Zoom Past Your Competition! will be better than: Discover How Your Competition Stays Ahead! 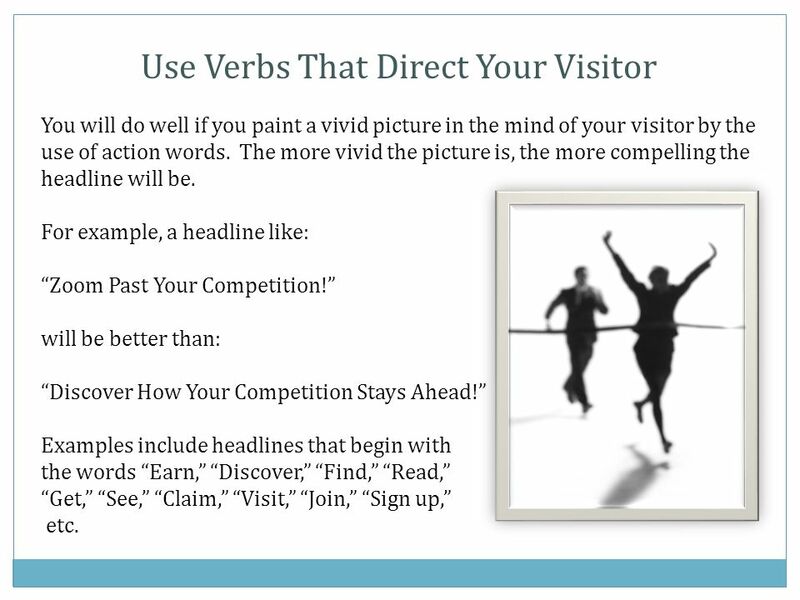 Examples include headlines that begin with the words Earn, Discover, Find, Read, Get, See, Claim, Visit, Join, Sign up, etc. 29 Bulleted List of Main Benefits Answer their question, Whats In It For Me? Give visitors a reason to subscribe. 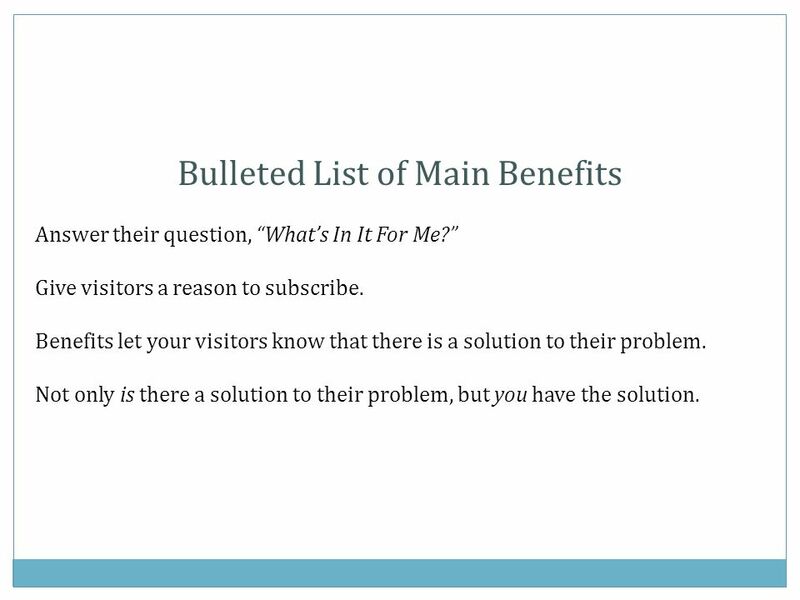 Benefits let your visitors know that there is a solution to their problem. Not only is there a solution to their problem, but you have the solution. 30 Opt-In Form Opt-in form – Needs a way to take action. 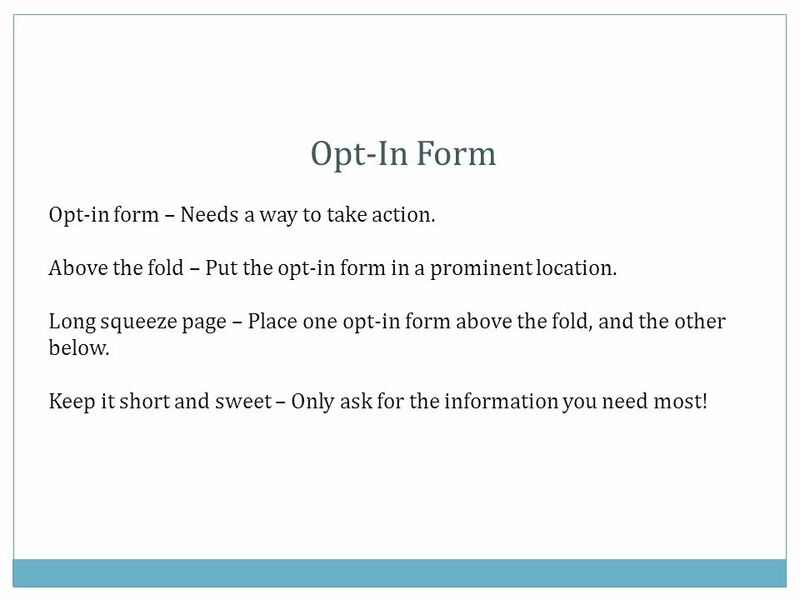 Above the fold – Put the opt-in form in a prominent location. 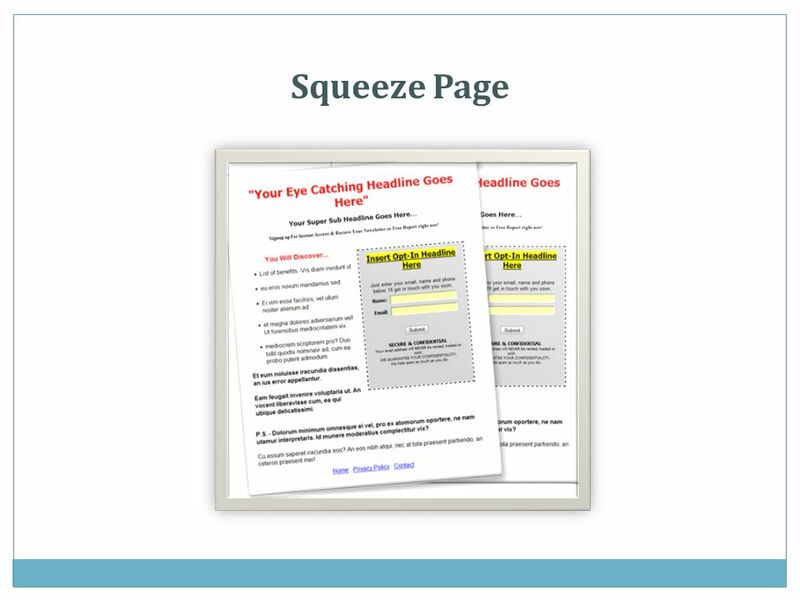 Long squeeze page – Place one opt-in form above the fold, and the other below. Keep it short and sweet – Only ask for the information you need most! 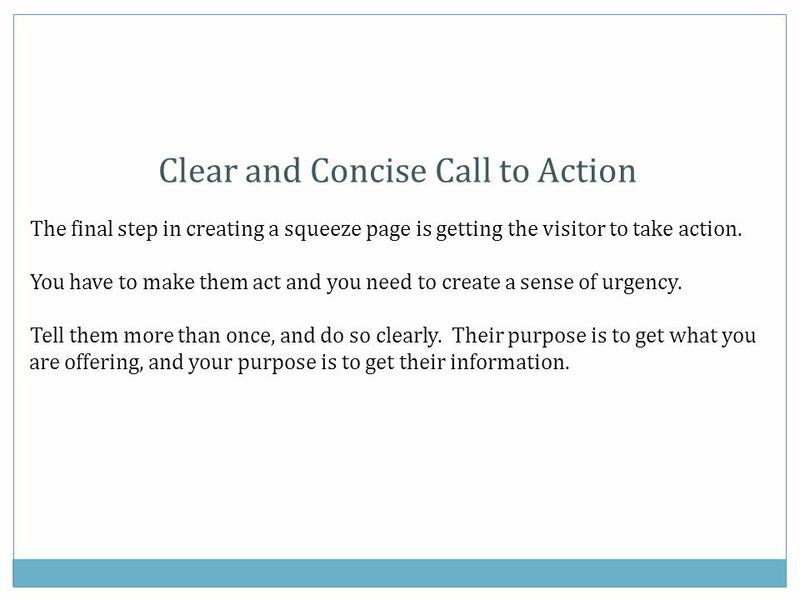 31 Clear and Concise Call to Action The final step in creating a squeeze page is getting the visitor to take action. You have to make them act and you need to create a sense of urgency. Tell them more than once, and do so clearly. Their purpose is to get what you are offering, and your purpose is to get their information. 32 Tell the visitor exactly what action you want them to take. Make it very clear and concise. Keep the choices simple: either signing up or clicking away. Be specific. Call To Action button: Avoid SUBMIT NOW! 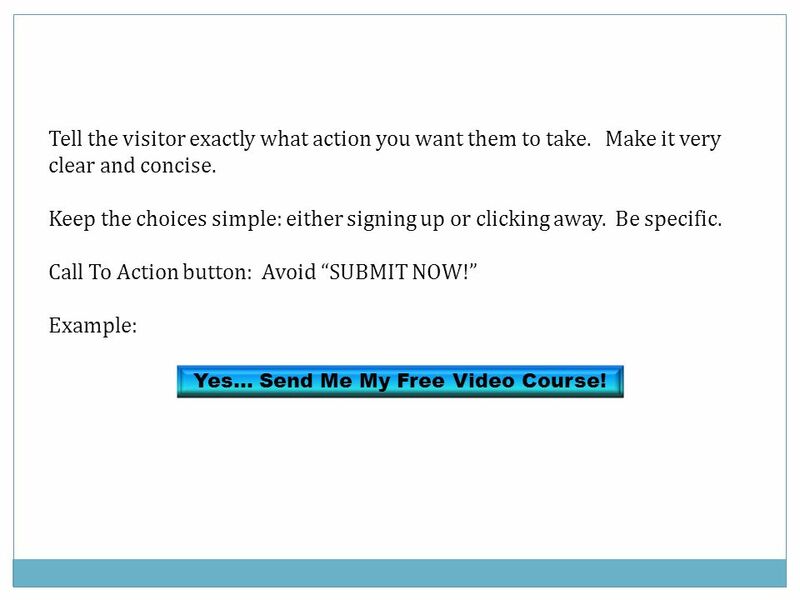 Example: Yes… Send Me My Free Video Course! 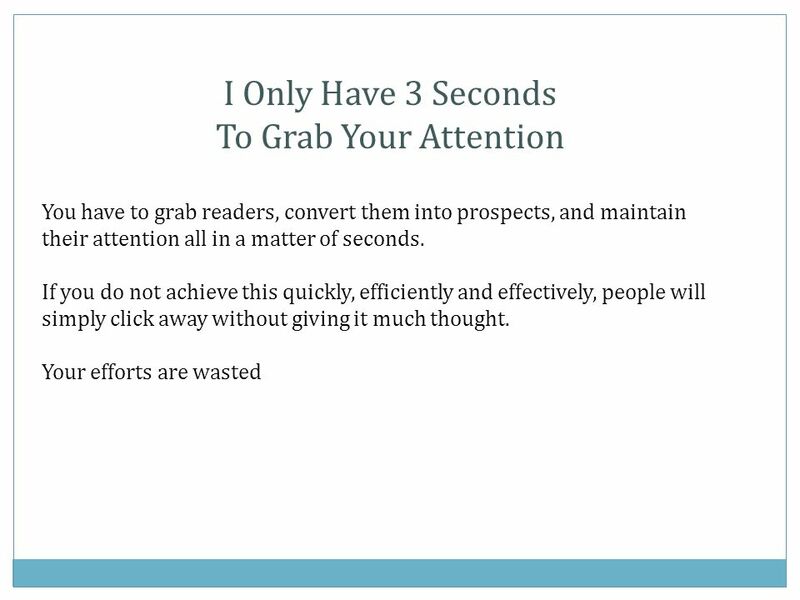 34 The trick here is to test to find what works best, stop what doesn't work, and improve what works to increase conversions. 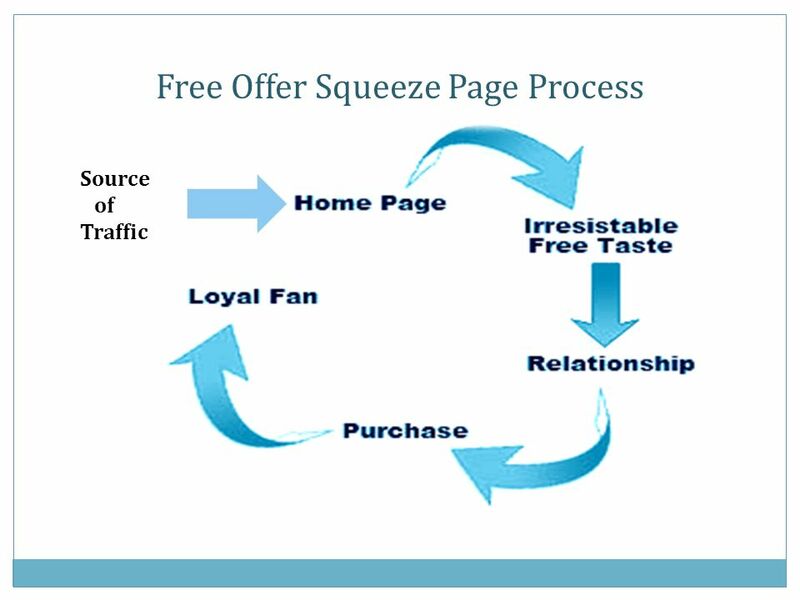 Whats keeping you from creating a squeeze page right now? Always test and track your results! 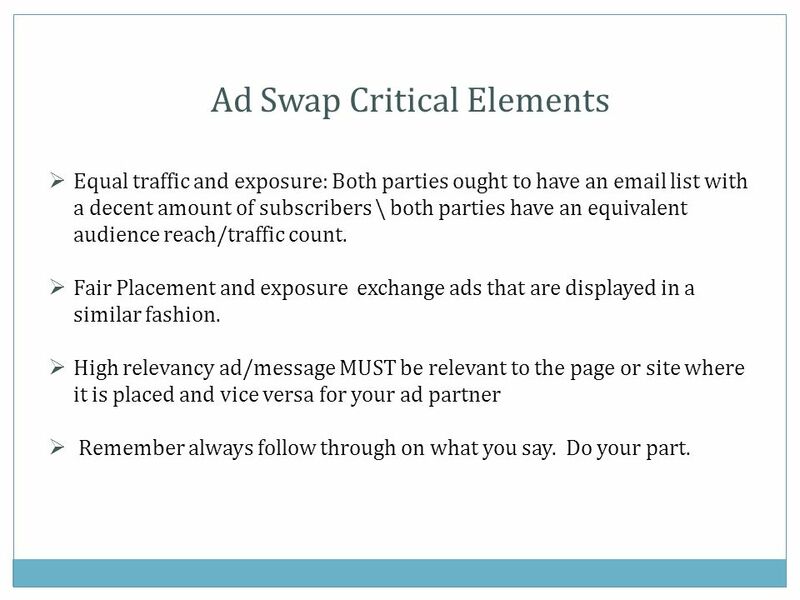 35 List Building With Ad Swaps Ad Swap; Find a like minded partner with a list size that is broadly similar to yours, and then you mail for the other person and they mail for you. Like minded partner will send a message to their list letting their subscribers know what giveaways you have on your squeeze page, you do the same for their squeeze page on your list. You provide each other the mails to send, with your link in there, already to go. 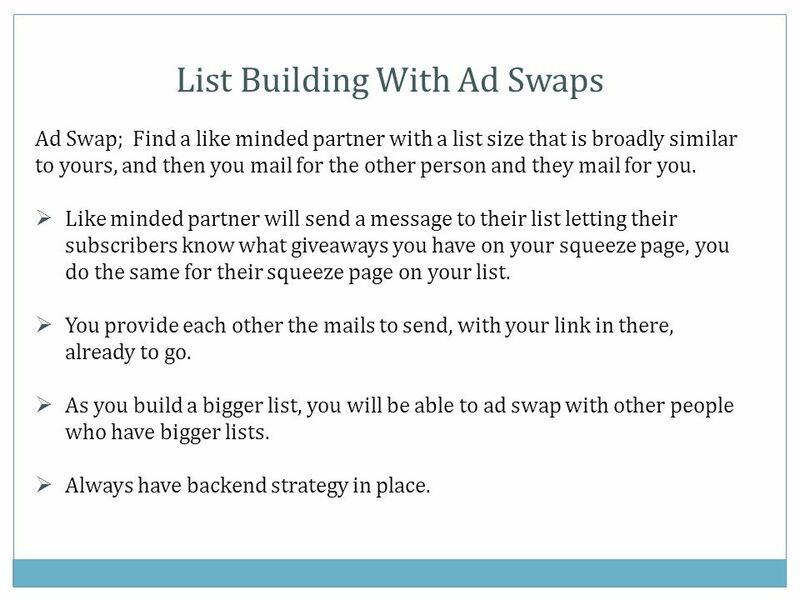 As you build a bigger list, you will be able to ad swap with other people who have bigger lists. Always have backend strategy in place. 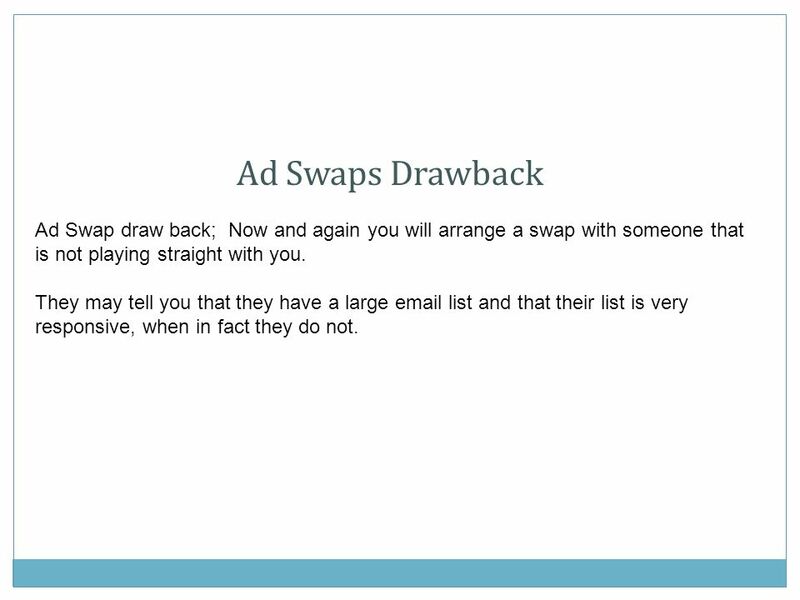 37 Ad Swaps Drawback Ad Swap draw back; Now and again you will arrange a swap with someone that is not playing straight with you. 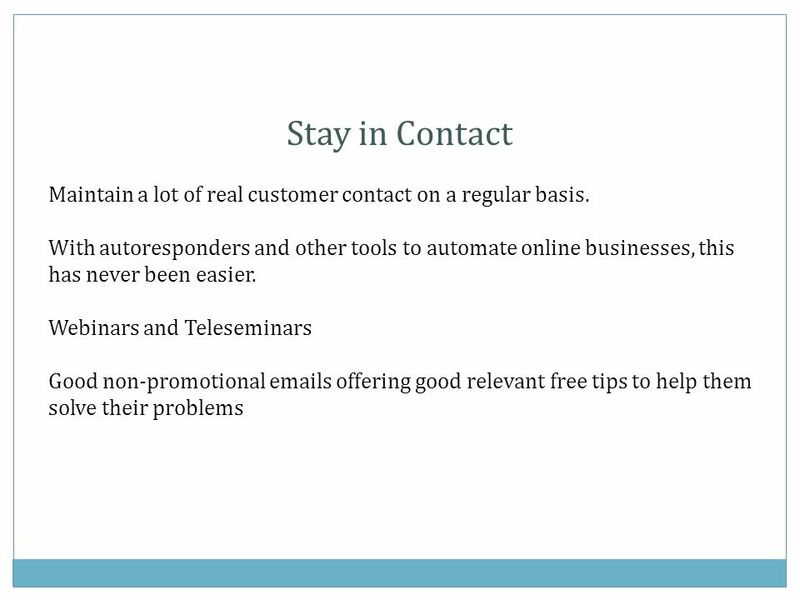 They may tell you that they have a large email list and that their list is very responsive, when in fact they do not. 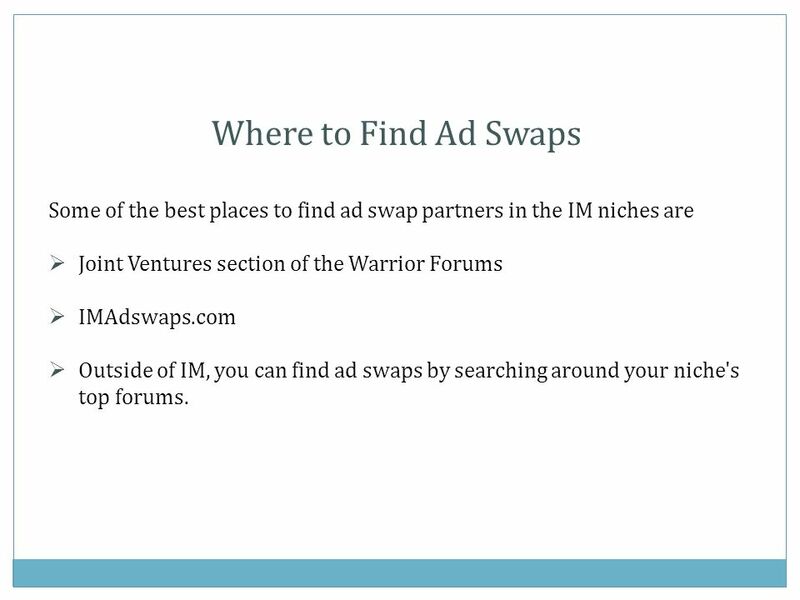 38 Where to Find Ad Swaps Some of the best places to find ad swap partners in the IM niches are Joint Ventures section of the Warrior Forums IMAdswaps.com Outside of IM, you can find ad swaps by searching around your niche's top forums. 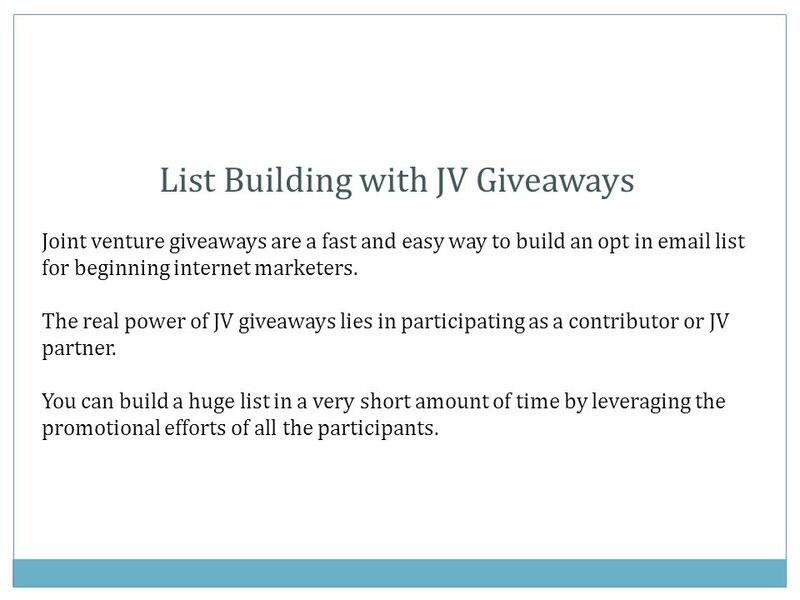 39 List Building with JV Giveaways Joint venture giveaways are a fast and easy way to build an opt in email list for beginning internet marketers. The real power of JV giveaways lies in participating as a contributor or JV partner. 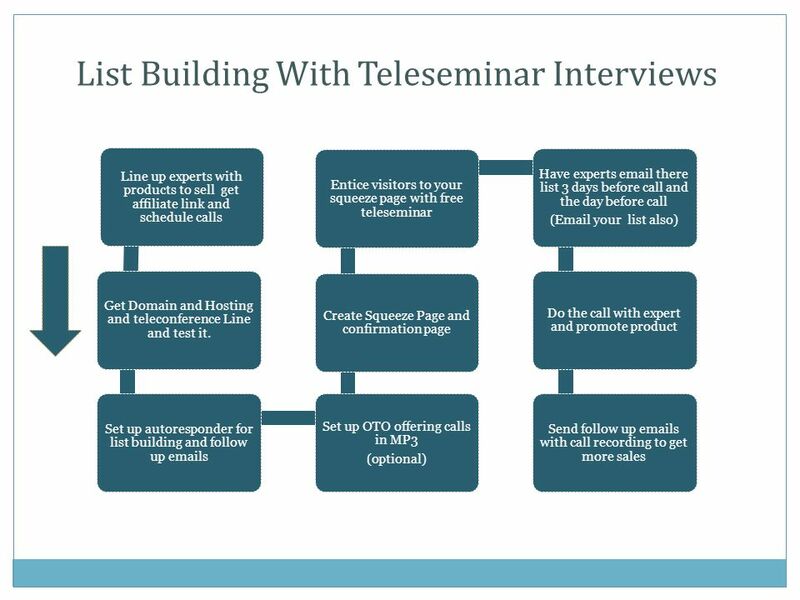 You can build a huge list in a very short amount of time by leveraging the promotional efforts of all the participants. 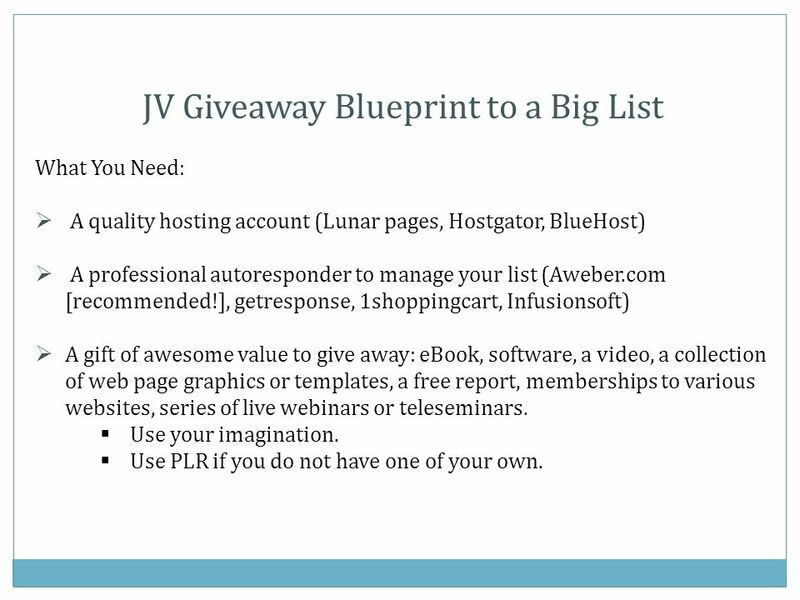 40 JV Giveaway Blueprint to a Big List What You Need: A quality hosting account (Lunar pages, Hostgator, BlueHost) A professional autoresponder to manage your list (Aweber.com [recommended! ], getresponse, 1shoppingcart, Infusionsoft) A gift of awesome value to give away: eBook, software, a video, a collection of web page graphics or templates, a free report, memberships to various websites, series of live webinars or teleseminars. Use your imagination. Use PLR if you do not have one of your own. 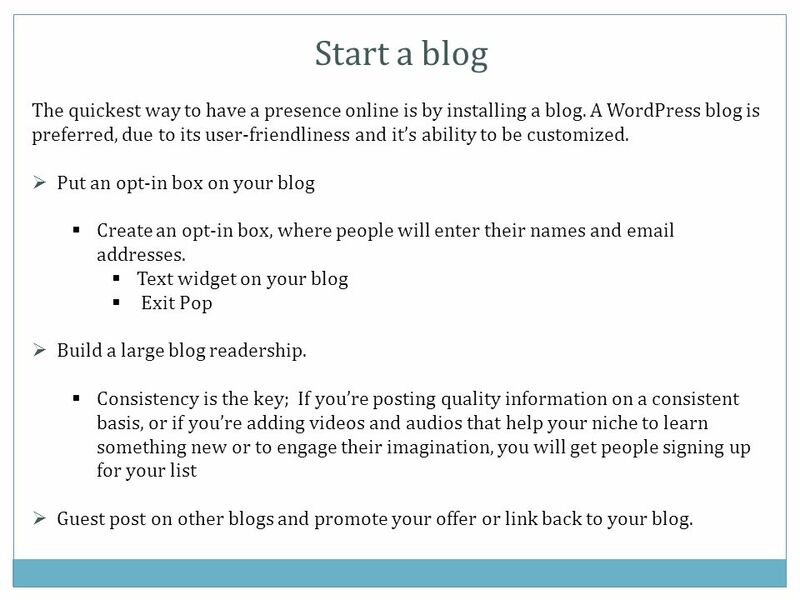 42 Start a blog The quickest way to have a presence online is by installing a blog. A WordPress blog is preferred, due to its user-friendliness and its ability to be customized. Put an opt-in box on your blog Create an opt-in box, where people will enter their names and email addresses. Text widget on your blog Exit Pop Build a large blog readership. Consistency is the key; If youre posting quality information on a consistent basis, or if youre adding videos and audios that help your niche to learn something new or to engage their imagination, you will get people signing up for your list Guest post on other blogs and promote your offer or link back to your blog. 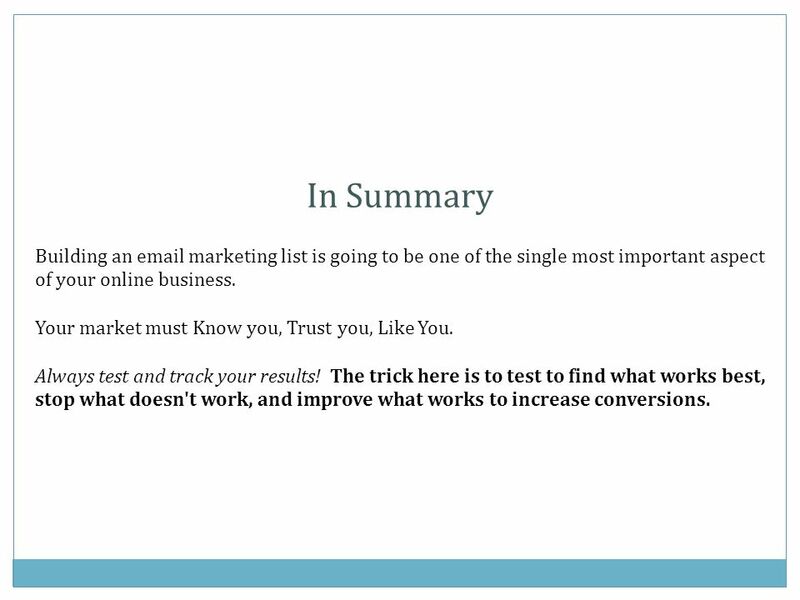 44 In Summary Building an email marketing list is going to be one of the single most important aspect of your online business. Your market must Know you, Trust you, Like You. Always test and track your results! 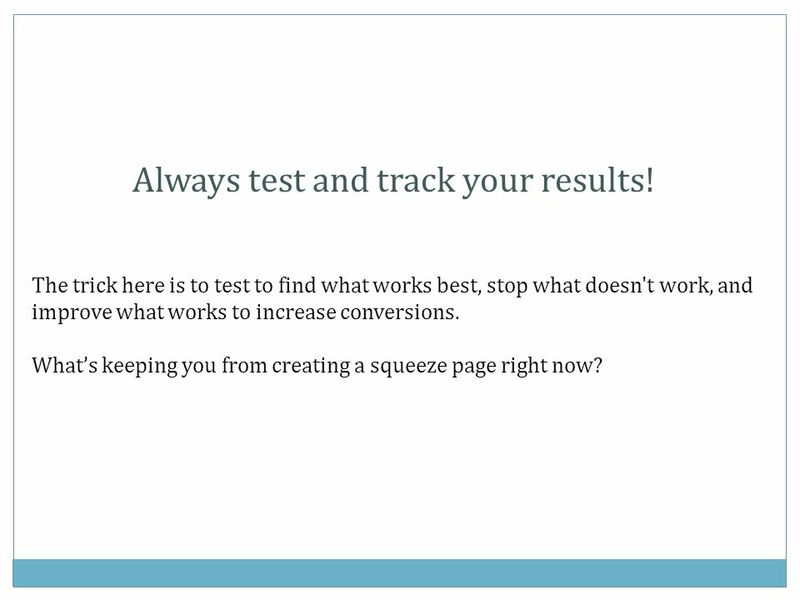 The trick here is to test to find what works best, stop what doesn't work, and improve what works to increase conversions. 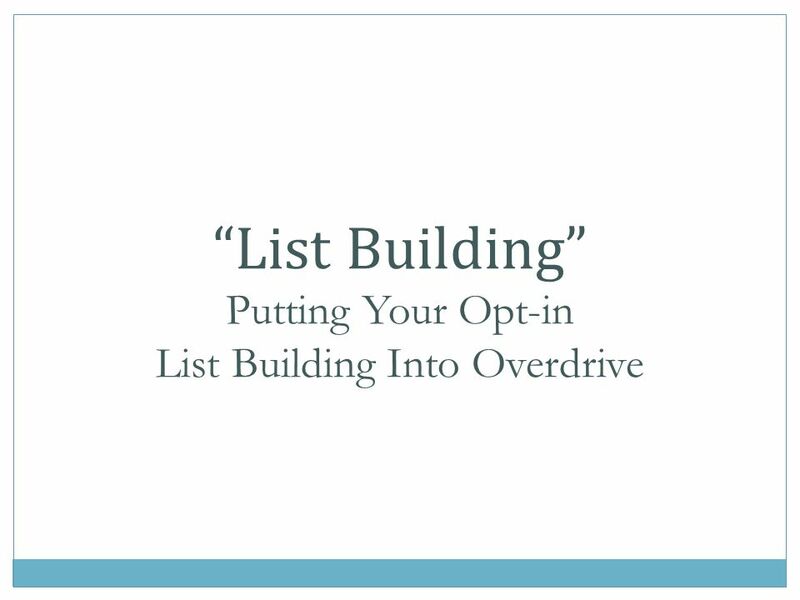 Download ppt "List Building Putting Your Opt-in List Building Into Overdrive." Small Business Resource Power Point Series Writing Articles for the Web. 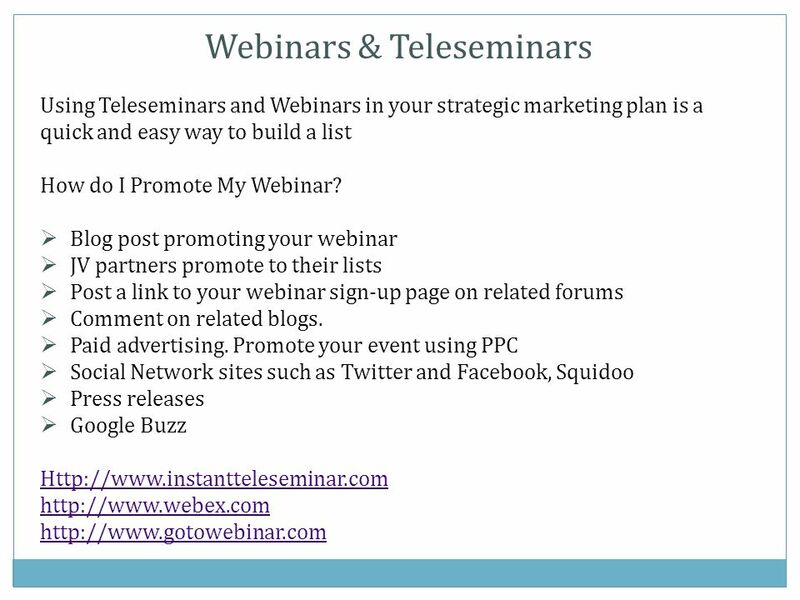 Effective Use of Your Web site June 29, Agenda  Introduction  Statistics  Observations  Your Web Goals  Increasing Traffic  Optimizing the. Establishing Successful Business Online Alexei Kouleshov. How to make loads of money on the internet… …even if you have NO Product and NO List.